Cyber attacks on small businesses are becoming a big problem. The number and frequency of attacks aimed at small businesses is on the rise. A recent survey in the Ponemon Institute’s 2017 State of Cybersecurity in Small & Medium-Sized Businesses report has determined that the percentage of SMB’s that have experienced cyber attacks has risen from 55% in 2016 to 61% in 2017. In addition to this, a majority 58% of malware attack victims in 2018 were categorized as SMB’s. The data makes it appear that cyber criminals are targeting small businesses purposely. However, it’s more likely that they are only falling victim because they tend to be more vulnerable. Hackers generally don’t focus on finding particular victims, but instead take a more opportunistic approach. They often utilize techniques that victimize anyone who lacks proper network security. So what can small businesses do to keep themselves protected? The short answer is to have a solid strategy in place to deter, prevent, and protect. Here are the the key policies and procedures necessary to protect your small business from cybercrime. drive or in the cloud reduces your worries about a ransomware attack. You’ll know that your information is safe and not reliant on a single computer or server. Having password protected computers is vitally important. Train your employees to log out or to put on their lock screen when they’re going to be away from their desk. One of the oft overlooked aspects of cybersecurity is preventing criminals from having physical access to an unattended computer. Only allow your employees to touch your business’s computers. Computers running old or out of date software are more vulnerable to cyber attacks. The computer Operating System and antivirus software is the last line of defense in cybercrime attacks, and keeping software up to date will guarantee that no vulnerabilities are available. A firewall is a set of programs that prevents outsiders from accessing data on a private network. What this essentially means is that remote access to the network will always be prevented, which keeps you safe from direct hacking attempts. It’s very common these days for businesses to provide free Wi-Fi to guests, but it’s important that a guest network is seperate from the Wi-Fi network used for day to day business. The primary network should be protected by a password and encrypted. Modern routers often have the option of hiding the network so that it can’t be connected to unless the specific network name is known. If your router offers that functionality, take advantage of it. All the security, firewalls, and antivirus in the world can’t protect a business from cybercrime if the employees aren’t educated on threat detection and best practices. One example from 2011 proved that even government buildings with high security could still succumb to threats. In a test of their own vulnerability, security staff secretly planted USB thumb drives with their company logo printed on them throughout the parking lot. Numerous employees, completely unaware of the intent, found one of these drives and inserted it into their computers. That’s all it would take for a virus to be transferred. It’s important that employees understand that everything they download, open, or insert into a computer can have potential security risks. 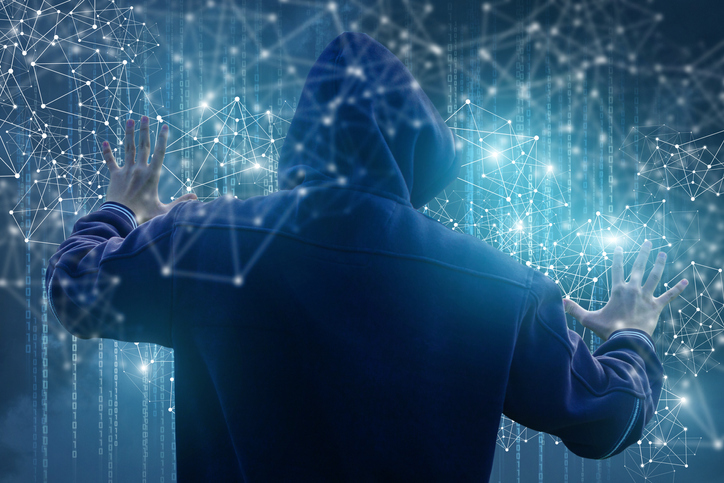 Although malware and cybercrime is constantly evolving, you’ll be happy to know that cybersecurity professionals are staying ahead of the game with intelligent developments of their own. The latest variety of security solutions, like IOBOT® software defined security devices, utilize device detection, network scanning and a sophisticated firewall to block even today’s most state-of-the-art attacks before any harm can be done. Even better, IOBOT is specifically designed to meet the needs of small and medium sized businesses. IOBOT®paired with the AlwaysON™ platform is a solution that has all these capabilities without the unneeded complexities found in other security solutions. To find out more about IOBOT and the AlwaysON platform please contact us or request a demo .